Russian Foreign Minister Sergey Lavrov is expected to meet UN Secretary General Ban Ki-moon, diplomats from China and BRIC countries and take part in meeting of the Middle-East Quartet. Traditionally, New York is a great place to spot celebrities, but this time it is going to be politicians. That is why there are many protests taking place outside the UN’s headquarters. This year the protests are expected to be focused on Mahmoud Ahmadinejad being in New York. There are a lot of ads displayed all over the city against him. Some of the people will be protesting the human rights situation in Iran, whereas others are there to protest the Iran’s controversial nuclear program. 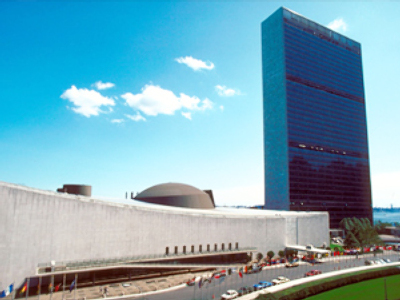 The UN General Assembly annual session began on September 14 in New York City. Will 65th UN General Assembly make the world a safer place?